When customers get help over the phone, agents can resolve complex issues faster and deliver personalized support. Make those conversations happen easily and efficiently with Zendesk Talk. I like this feature for when I need to talk to customers about anything they can access this and get anything solved. Honestly, there isn't anything I don't like. It is a very easy straight forward chat to talk to our customers. Maybe if there were different sounds. Some of them are a bit loud or they are too quiet. Otherwise, it is an easy to use feature in Zendesk. This feature makes it easy for me to talk to my customers who can't reach us by phone or emails and have a quick question about their order or question about a product. I like this feature as well on other sites when I don't want to be put on hold and have a quick question. I like the fact that I can be away from my desk and still handle each call as if I were right there. it helps to consult clients etc. many problems are being resolved w/ zendesk It allows our clients to leave detailed messages with it being timestamped as before the app we used did not timestamp. "Cool way to integrate chat into our e-commerce site"
It pops up instantly to chat when customer is shopping offering a easy-to-use support system for customers as they are navigating our pages. Customer support is quite bad and there tend to be lots of bugs. We had lots of IP whitelisting issues while integrating. Definitely be aware of the customer support issues when trying to integrate. We ended up pulling it from our system after too many headaches and chose an alternative route. "AWESOME PRODUCT! very easy to use and learn. Any body can learn "
The ease of use and learning! Accessible to every one and love the platform. It's convenient and I love the colors on the platform. So far, NOTHING! its great. it has everything I ask for when it comes to communication. The best one so far! better than google hangouts ! ITS very easy! not hard to learn at all. All you have to do is learn how to talk to people. its just like texting or emailing! quick and easy! nothing gets better than this! communication between employees, friends and family as well!!!!! "Zendesk Talk is best way to personalize Support "
What I liked about Zendesk Talk is that it's a cloud-based system so easy to access when we want and secondly the call feature as it helps to provide real-time and personalize support to our clients. It also allows personalizing greetings and record calls. There is nothing much that i dislike about it as it has helped us refine our customer experience. but the training and implementation took long. Really recommended if you have a big customer base and you want to clear out questions and queries in an efficient and real-time manner. It may help you build a strong brand. It has helped us resolve our customer experience and provide real-time and quick response to our clients as well it has helped us manage the flow of questions. "Phone Support that doesn't execute"
The software suite is a good idea to reduce costs and improve cross channel customer support functions. Zendesk aims high with this call center software but it misses the mark. It's relatively easy to set up if you're familiar with their current ticketing solution software, but it doesn't quite pack the punch that it hopes to. I've found that the customer experience was not always as positive using this vs. competitors. There are other competitors on the marketplace which provide better overall customer experience. This isn't the worst offering out there but I think others could be better suited for our industry. We integrated the Zendesk talk with our Zendesk ticketing support system to try and provider better customer support. "It needs a lot of work"
If you do implement zen desk, please ensure that you are communicating with their team about size of company, expected same time usage, etc. "Standards met for a small growing office"
I like love that I am able to pull individual reports on my on calls taken. It has become very helpful and we are all experts on the rise. I don't really dislike anything about zendesk, I think that we are working to improve our knowledge and it is moving at a steady pace. It gives our office the ability to connect with our clients internationally with little to none in errors. "Great for creating support tickets from calls"
That it can create a transcript of a call and include it in the ticket as well as a voice recording of the call and have it attached to the ticket in Zdnesk. 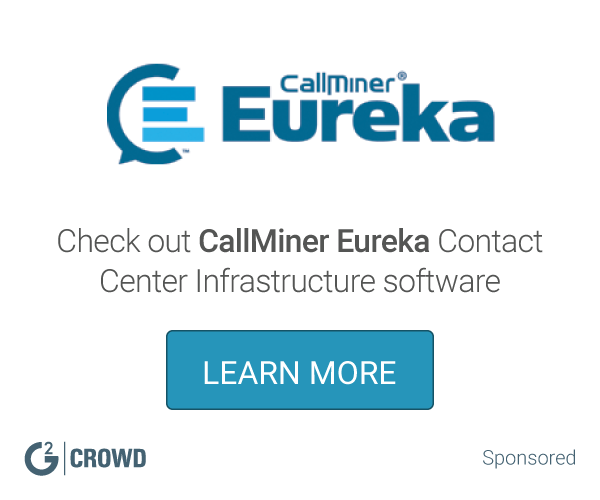 Call center functionality that seamlessly fit with our current ticketing system: Zendesk. Having a record of all phone calls received by our support desk. 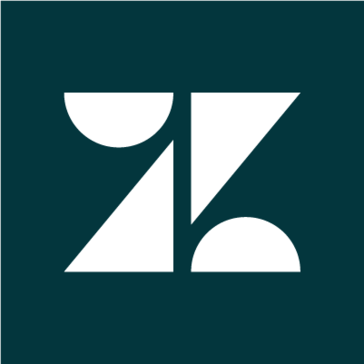 I think that Zendesk talk incorporates very well with the Zendesk system, it's a very wonderful faction. This allows us to have all of our things in one place. I dislike the fact that sometimes it does freeze up a little bit. Other programs haven't had this issue. It becomes a lot easier to use Zendesk Talk when you are combining it with Zendesk for solutions for an all in one. Zendesk Talk is helping our company work to get in contact with our customers. "Manage Calls in the Existing Interface"
This product allows incoming calls to be managed on the same platform as all other support channels. Incoming calls are logged as tickets and the support team can continue working on previous tasks. This seamless integration allows for better efficiency and over all service. Overall a great feature. It does take a little bit of heavy lifting to implement from an admin side of things. We were able to better support our services and the CS team could continue working in an efficient manner. This software keeps everything very organized--so the recordings are saved and you can reference back to completed phone calls. Sometimes the connection is poor and the line doesn't open back up once you hang up. Recordings are saved and you can reference back to completed phone calls which is helpful. It is also nice you can type notes right on screen. "Not a bad CS platform! " I like how quickly you can connect with CS teams! "Excellent customer service program "
The software is very useful to create statistics on call center communications. It's highly scalable and of course native to other Zendesk SaaS solutions. Licence fees. It's very efficient if you use for small time but prices go higher by larger teams. We used Zendesk for our technical support team. allowing teams to deliver phone support from the same platform they use to manage all other customer conversations. A better Help Center would be nice. The current one is old and slow. We can manage all of our clients calls with Zendesk Talk. We also manage tickets using it. "Great tool to help customer support"
Easy to set up and very user friendly. No need to pay for another solution. Like any phone system based over the internet, calls can drop from time to time. Keeps all of our customer support in one place. "Works well for communication with Inbound calls"
Makes taking Inbound customer calls easier to take and document. Nothing to dislike, easy to use and be useful for business purposes. * We monitor all Zendesk Talk reviews to prevent fraudulent reviews and keep review quality high. We do not post reviews by company employees or direct competitors. Validated reviews require the user to submit a screenshot of the product containing their user ID, in order to verify a user is an actual user of the product. Hi there! Are you looking to implement a solution like Zendesk Talk?